Tomorrow, February 28, 2017, will be the last day my dad owns his 2012 Acura TL. 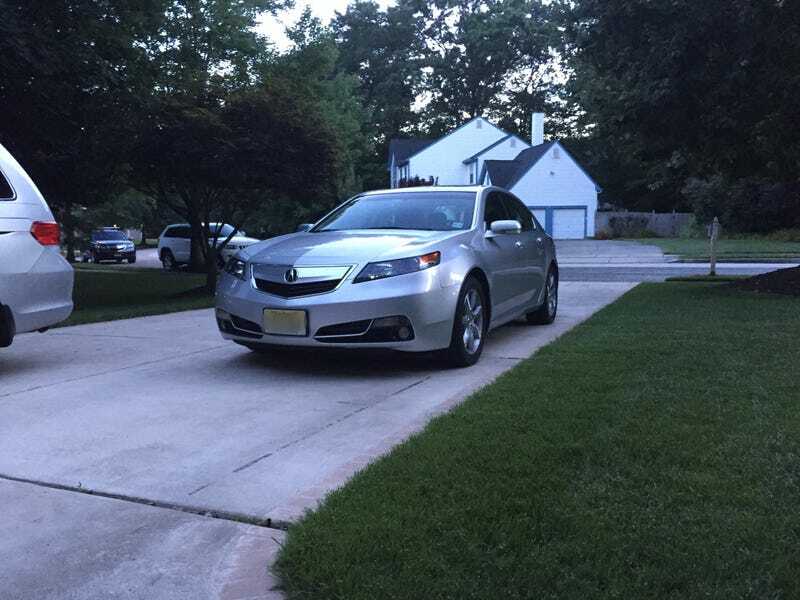 He bought it on October 25, 2012 to replace his 2006 Honda Accord. He’s put almost 97,000 miles on it since then, and it’s been a very trusty daily for him since then. And tomorrow we’ll be trading it in to get my mom a new Pathfinder. Despite the internet’s disdain for its looks, I really liked the TL. Even more than that, the TL is the car that got me into cars. Back when my dad bought it, I was so excited about it that I decided to learn everything I could about it. And slowly but surely, I started to learn more about other cars as well. Eventually I turned into a full blown car enthusiast. My existence on Oppo is owed almost entirely to this car. I personally think it’s pretty inoffensive looking, yet a lot of people feel differently. The grille was toned down a lot in 2012. It’s pretty roomy up front but not great in the rear. Material quality is alright, the design is decent but nothing particularly special about it. It has 280 horsepower, and it’s plenty quick for most driving. Lots of power in the midrange. Honda seems to do a good job with its V6s. I can’t attest to feel or anything but they seem to do a decent job. It’s fine most of the time but feels a little stiff on rough roads. The car hasn’t been taken to the track or anything so I have no clue how it handles at speed. It seems to do a good job day to day and my dad has had no complaints whatsoever. It’s an autobox which stinks, but it does its job and is fairly unobtrusive. Even by 2012 standards, the TL doesn’t have a lot of toys. Paddle shifters, heated seats, a sunroof, and that’s about it. The engine and the sound system both sound decent. They won’t blow anyone away but it’s nothing bad either. In 2012 this car stickered for $35,000 and my dad got it for about $32,000. That’s very reasonable for a good car overall, and you can find a well equipped one nowadays for under $15,000 while a stick shift, 305 horsepower SH-AWD model should be well under $25,000. Not a bad score, and that’s about what I’d give it on a subjective scale of 0-100. Despite the controversial looks, this is a pretty regular albeit competent vehicle. Plus they’re a great deal on the used market. I’ve really liked having this car for the last 4 years. Not gonna lie, I’m gonna miss it.